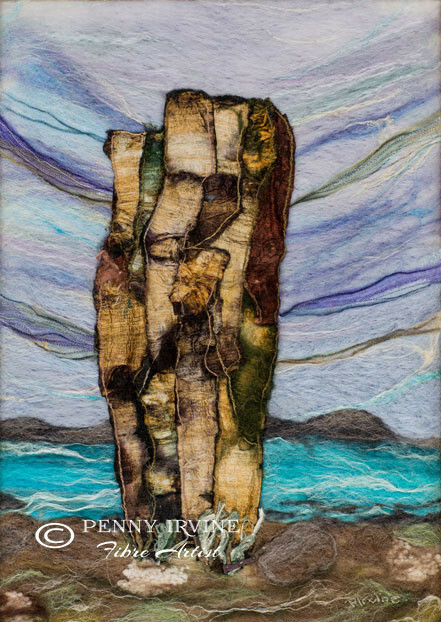 I am a fibre artist living in Thurso, Scotland. 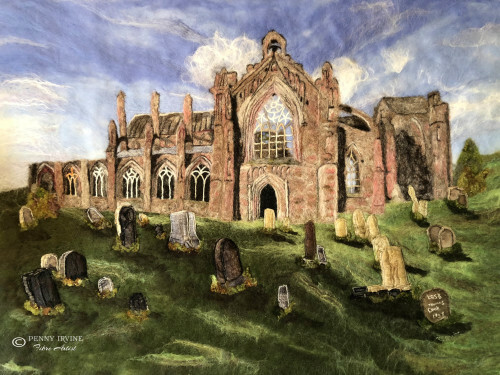 I have created several commissions and have sold work in both Scotland and Europe. 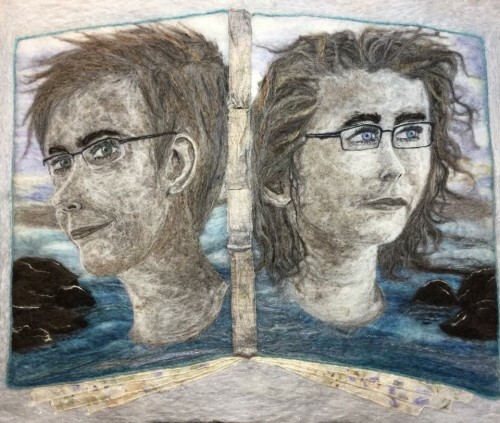 My work has been exhibited in both Scotland and England. 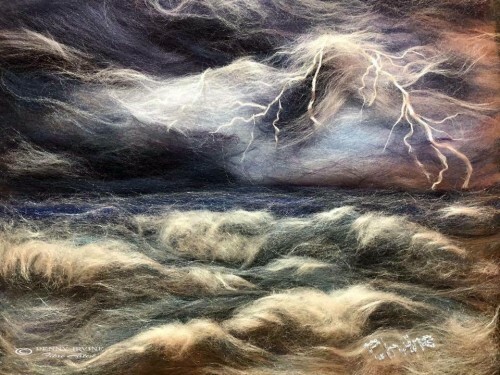 I create paintings using the traditional techniques of wet felting, needle felting and raised and freehand embroidery. I form the contours and shapes of my paintings with my hands in a similar fashion to sculpting. 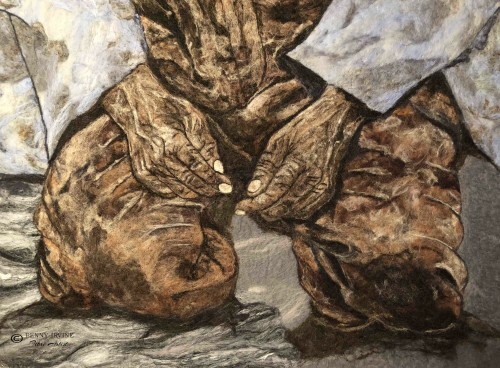 I feel this gives me a unique connection to my work, allowing me to feel the depth and texture of each element and convey this through the painting. I like to use these traditional techniques to create art that has a more contemporary feel, both in execution and subject. 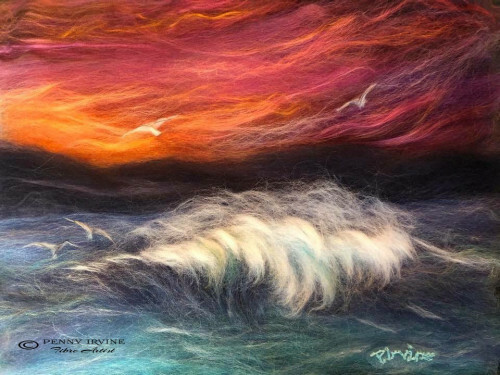 I use fibres to create the power of the elements and the seas that surround our coastline. I also enjoy using fibre to portray the clean lines of architecture in both modern city streets and ancient buildings or towns. I have a keen interest in social and environmental issues. 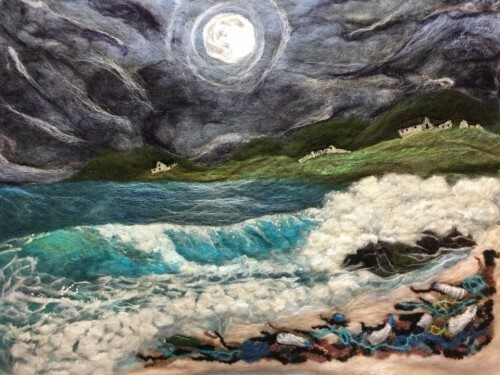 My felted and embroidered picture Natural Beauty vs Disposable Society, which sold recently, focuses on the issue of plastic pollution in our oceans and on our beaches. 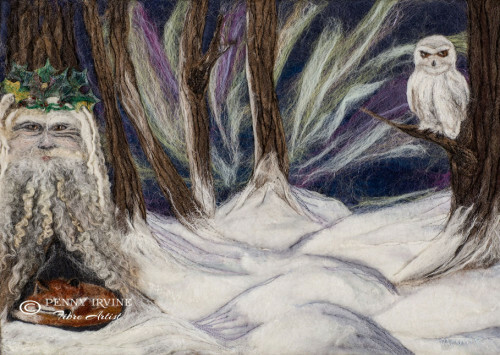 My most recent felt and laid fibre pieces, Touch and Kaleidoscope focus on issues in society such as abuse and homelessness.